We can design, manufacture & install a range of lockers to suit your needs. Wet areas including swimming pools & beaches which are in unsecured locations. We have the technical expertise and experience to ensure our lockers are built to last and are safe & secure. Our locker systems are fully developed in house from design, software & hardware development all the way through to manufacturing and installation. Our kiosks are built using the latest platforms and offer innovative and easy to use technology. Our software can be customised and we can offer integration with various systems. Locker management can be accessed remotely from anywhere in real time with our mobile management app for management and support purposes. 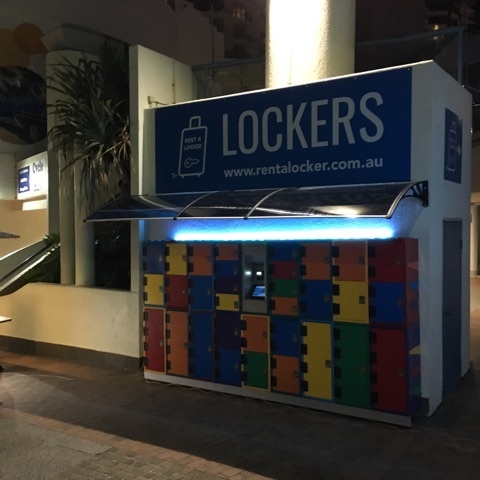 From a customer perspective the lockers are easy to access and the payment kiosks are simple & easy to use. Our locker systems provide quick easy safe & secure transactions.